Estee Whitaker is experienced in litigation of coverage and extra-contractual disputes. Before joining the firm, she worked for twelve years as Associate General Counsel for Nationwide Insurance and seven years as outside coverage counsel. In those roles, she provided coverage analysis and opinions under numerous policy forms, including personal and business auto; homeowners, tenant, and condo; recreational vehicles; commercial general liability; and personal and commercial umbrella. The scope of her general counsel practice extended to Nationwide and affiliate companies Allied, Titan, Victoria, and Harleysville. Prior to receiving her law degree, she worked for eight years as a claims adjuster for USAA and State Farm. She completed her undergraduate studies at University of Texas, Austin, Texas, graduating with a Bachelor of Business Administration in 1983. She continued her studies at Our Lady of the Lake University, graduating in 1989 with a Master of Business Administration. She earned her law degree from the University of Houston Law Center in 1995. Ms. Whitaker is licensed to practice in Texas. 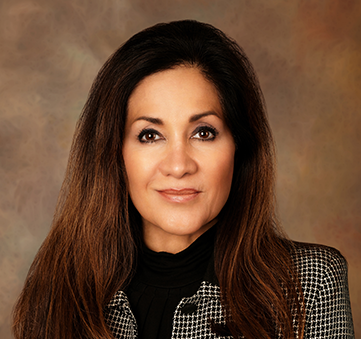 She also is a member of the State Bar of Texas and the Dallas Bar Association – Insurance Section. Ms. Whitaker authored and conducted a TDI-approved Continuing Education Webinar Program, which included training on various courses, including: Additional Insureds; Community Property Rights; Construction Defect Claims; DTPA; “Other Insurance” clauses; Prompt Payment of Claims Statute; Reservation of Rights; Stowers Doctrine; Survival, Wrongful Death & Bystander Claims; and The Appraisal Clause. Ms. Whitaker is bilingual (English/Spanish).